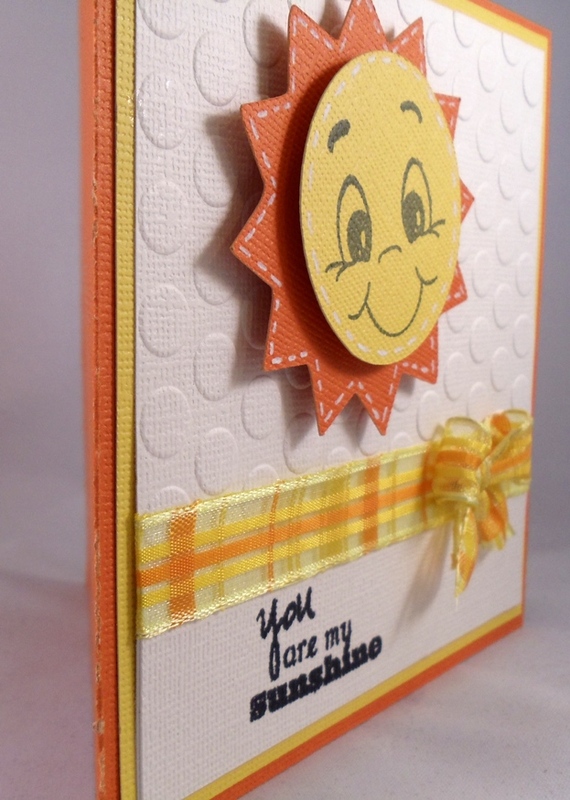 Simply Silhouette: You Are My Sunshine! 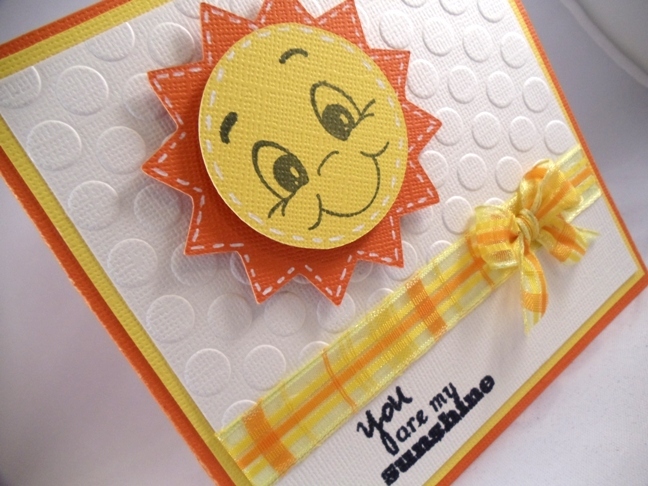 Create a Critter at 2.75"
Too cute, love the embossed background. very cute!! so nice and bright! This is absolutely ADORABLE! 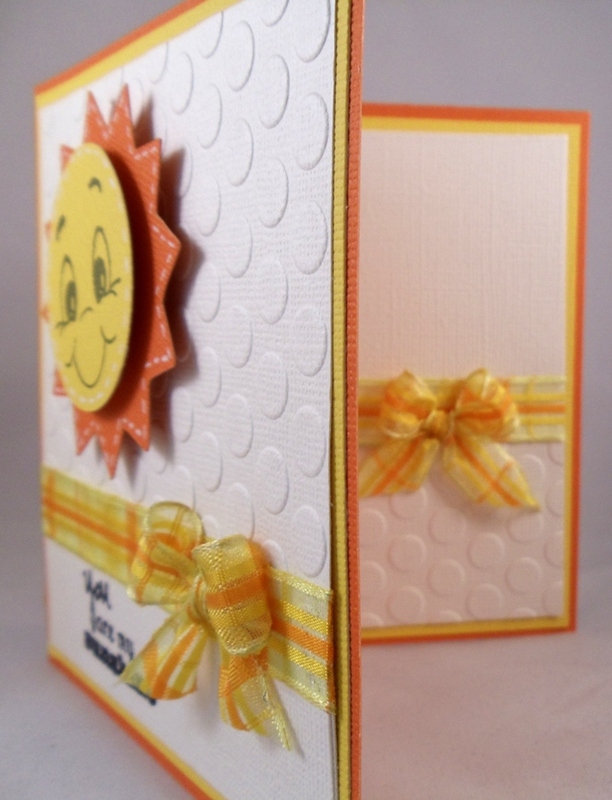 I love it--the textured dots, the shimmery cardstock, the bright plaid ribbon, just every detail! I am so tickled you shared with me! PS You know I need to have you as a featured blogger, right?!!! Super cute card!! I just love how sunny and bright it is. And that extra inside bow is just adorable. You did an awesome job with Kristal's stamps. Such a Happy card, I love it! 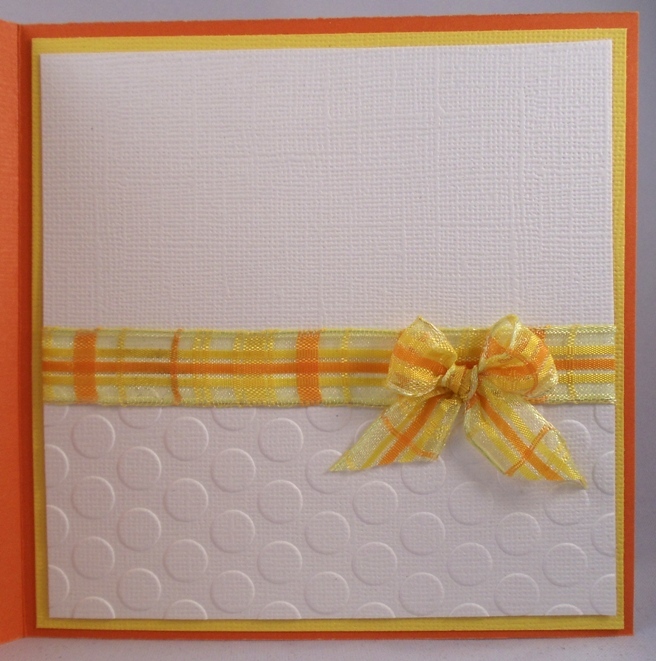 I love the plaid ribbon perfect touch and the embossing is perfect! Great card... I love the sunshine. Perfect match for Kristals stamps. Come visit my blog. 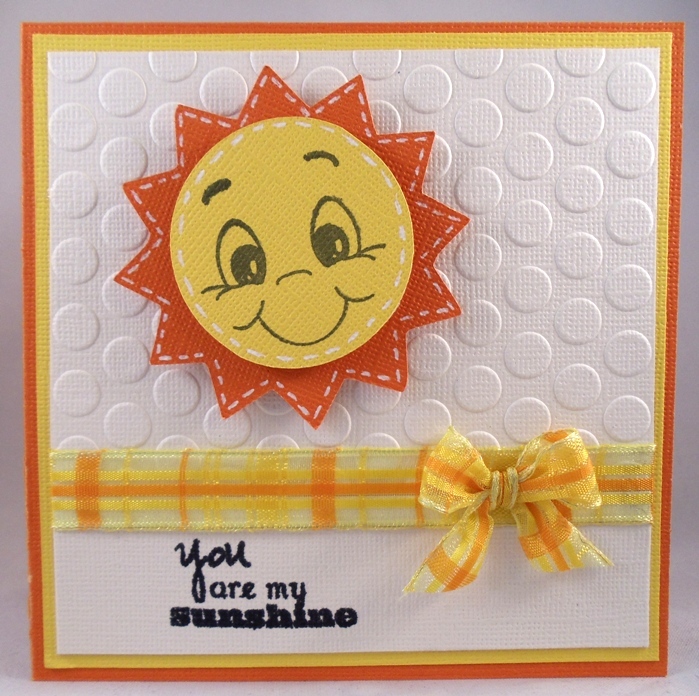 I have several cards made using her stamps. I am gettting this set in the mail soon. This is really cute. I love the colors, very cheerful!! I agree, the stamps are great!